Iron & Wine recently appeared on CBS Saturday Morning to perform Beast Epic tracks “Call it Dreaming”[see here], “Thomas County Law”[see here] and rarity “Call Your Boys”[see here]. He also recorded a gorgeous 40-min, career-spanning set with Pitchfork Live [see here]. Iron & Wine’s Beast Epic, which features the standouts “Call It Dreaming”, “Thomas County Law”, “Bitter Truth” and “About A Bruise,” was written and produced by Sam Beam. It was recorded and engineered by Tom Schick at the Loft in Chicago in July 2016 and January 2017, and mastered by Richard Dodd in Nashville, Tennessee. The musicians who played on the album include longtime Iron & Wine collaborators Rob Burger (keys), Joe Adamik (percussion, drums), and Jim Becker (guitar, banjo, violin, mandolin), along with bassist Sebastian Steinberg (Soul Coughing and Fiona Apple), and Chicagoan Teddy Rankin-Parker (cello). 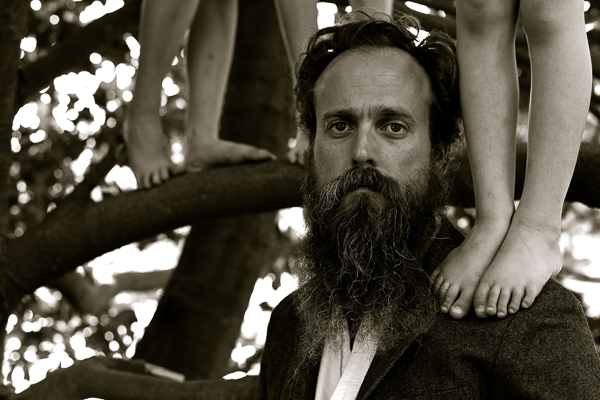 Iron & Wine has added headlining European dates to his 2017/18 tour schedule in support of Beast Epic, which begin January 14th in Reykjavic (at Eidborg) and end on February 16th in London (at Eventim Apollo). Tickets for all UK/EU dates will be on general sale at 10AM local time on Friday, September 1st. These dates are preceded by US touring, which spans August 26th at Fayetteville (at the sold-out Roots Festival) and ends with a two night stand in New York on November 13th (at Town Hall) and 14th (at Brooklyn Steel). For up to date information on tickets, please visit ironandwine.com/tours.